Scientist/Author - Two sole author textbooks: Surfaces and Interfaces of Electronic Materials (Wiley-VCH, Weinheim, 2010) and An Essential Guide to Electronic Material Surfaces and Interfaces (Wiley, Hoboken, 2016) plus 1 monograph, 2 books edited, 2 patents, 58 invited review and survey articles and over 360 technical publications in solid-state physics, microelectronics, surface science, and materials science. Scientist /Educator - The Ohio University: Professor of Electrical & Computer Engineering & Physics, Center for Materials Research Scholar (1996 - present); Xerox Webster Research Center: Staff Member (1972-79), Senior Scientist / Senior Member of Technical Research Staff (1979-85); Visiting Professor, Tel Aviv University, Israel (1984); Adjunct Professor, University of Pennsylvania (1984-85); Principal Scientist, Xerox Corporation (1985-88); Principal Investigator, Synchrotron Radiation Center, University of Wisconsin (1980-1996); Postdoctoral Research Supervisor (1980-present). Research Manager/Administrator - Xerox Corporation Research Head, Advanced Components Laboratory (1994-1996), Manager, Materials Research Laboratory, (1989-1994), Manager, Interfaces and Processing Section, (1985-89); Governing Board, American Institute of Physics (1995-1997); American Vacuum Society Board of Directors (1995-1996, 1985-86), Trustee (1999-2001); American Physical Society Secretary-Treasurer, Division of Condensed Matter Physics (1989-1994), Chair, Forum on Industrial & Applied Physics (1995-97). Materials Research Society Government Affairs Committee (2008-2011) co-chair, Advanced Materials for our Energy Future subcommittee (2008-2011), Editor, Intersections Newsletter (2011-2012). 1996-present Professor of Electrical Engineering, Professor of Physics, Center for Materials Research Scholar, The Ohio State University. Teaching and research supervision of undergraduate, graduate, and postdoctoral students in Electrical Engineering and Physics. Development of interdisciplinary research across engineering and physical science, industry-university programs through Center for Materials Research and Departments. 1994-1996 Research Head, Advanced Components Laboratory, Xerox Corporation, Organization and co-management of six section managers and a fifty - person program encompassing solid state physics, electronic materials science, polymer chemistry, image development materials, and surface science. Responsibility for organization of Wilson Research and Technology Center's long-range physical science research programs. 1989-1994 Manager, Materials Research Laboratory, Xerox Corporation. Organization and management of four section managers and a forty-person program encompassing solid state physics, electronic materials science, polymer chemistry, microelectronic processing, image development materials, and surface science. Responsibility for management of Webster Research Center's long-range, fundamental research programs. Facilitated landmark patent agreement between Xerox, Kodak, and the University of Rochester as basis of $9.64 million award for the University of Rochester's NSF Science & Technology Center. 1985-89 Manager, Interfaces and Processing Section, Electronic Materials Laboratory, Xerox Webster Research Center, Webster, New York. Research management of approximately twelve professionals with experimental and theoretical activities in atomic-scale interface electronics and chemistry, microelectronic processing, and advanced semiconductor microstructures. 1985-89 Principal Scientist, Electronic Materials Laboratory, Xerox Webster Research Center, Webster, New York. 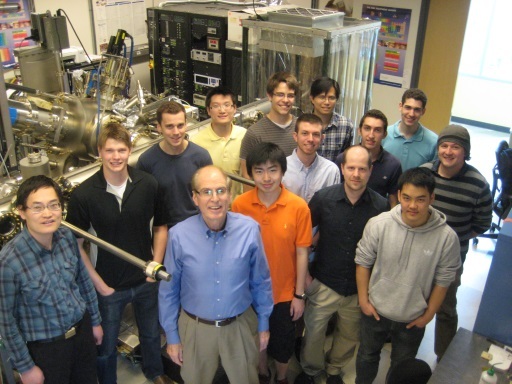 Expansion of surface / interface science program and supervision of postdoctoral fellows, including regular synchrotron radiation research at national storage ring facilities. 1984-85 Adjunct Professor, Department of Materials Science, University of Pennsylvania, Philadelphia, Pennsylvania. Presentation of lectures in semiconductor physics, microelectronics, materials science, and surface science. 1979-85 Senior Scientist / Senior Member of Technical Research Staff, Physics Research Laboratory, Xerox Webster Research Center, Webster, New York. Initiation of a surface / interface science program and supervision of postdoctoral research fellows. 1972-79 Staff Member, Physics Research Laboratory, Xerox Webster Research Center, Webster, New York. Individual research contributions in solid state physics, light scattering, surface science, and materials science. Ohio State University Lumley Research Award (2001), (2006), and (2011). Ohio State University Lumley Interdisciplinary Research Award (2013). AVS Science & Technology Society Gaede-Langmuir Award (2006) - "For demonstration of the fundamental importance of semiconductor interfacial bonding, metallurgical reactions, and defect formation upon solid state material and device properties." 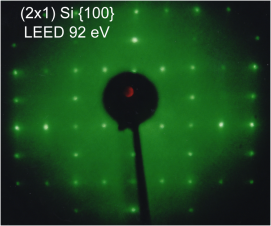 "For establishing the optical signature of a leading defect in ZnO, opening the way to monitor and study processes that promote p-type conductivity, a major current objective in semiconductor optoelectronics. He is also recognized for his outstanding efforts in student mentoring and broadening participation of underrepresented groups in science." 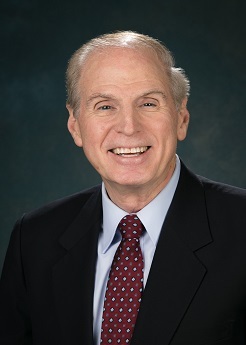 American Vacuum Society: Chair, AVS National Symposium (1983); Chair, Electronic Materials and Processing Division (1985), Editor, Topical Conference on Frontiers in Electronic Materials and Processing (1985); Director, (1995-96,1985-86); Chair, Foreign Interactions Committee (1987-89); Executive Committee, Electronic Materials and Processing Division (1997-98); Board of Trustees (1999-2001). American Physical Society: Secretary-Treasurer, Division of Condensed Matter Physics, (1989-1994), Chair-Elect (1995), Chair (1996-97), & Past Chair (1997-98), Forum on Industrial & Applied Physics. American Institute of Physics: Advisory Board, U.S. Team for International Physics Olympiad, (1978-90); Committee on International Relations (1988-89); Governing Board (1994-1997). SPIE: Chair, SPIE Conference on Surface and Interface Analysis of Microelectronic Materials Processing & Growth (1989). Chair, Physics and Chemistry of Semiconductor Interfaces Conference (1993 and 2016); Executive Committee (1989-1994 2000-present). Co-Chair, International Workshop on ZnO and Related Materials, Ypsilanti, MI (2009). Board of Editors: Surface Science, 1994-1996; Journal of Vacuum Science and Technology, 1993-94; Journal of Electronic Materials (IEEE and TMS), 1992-present. Advisory Boards: Center for Joining Materials, Carnegie-Mellon University (1980-84); National Science Foundation Regional Instrumentation Center program (1983); Department of Energy program on Interface Bonding and Adhesion (1985); Electronic Materials Committee, The Metallurgical Society (1989-1998); National Science Foundation Center for Photoinduced Charge Transfer (1989-1996); Graduate Studies Review Committee, Rochester Institute of Technology (1990); Industrial Advisory Board, Department of Energy Continuous Electron Beam Accelerator Facility, Southeastern Universities Research Association (1991-1996); National Science Foundation Materials Research Laboratory program (1991); Program Committee, International Conference on Atomically Controlled Surfaces, Interfaces, and Nanostructures, Electronic Materials Conference; International Conference on Solid Films and Surfaces, Scientific Advisory Board, MicroMD, NASA SBIR Phase II Review Panel (2002-2007). Referee, National Science Foundation, Office of Naval Research, Army Research Office, Department of Energy, Physical Review, Physical Review Letters, Journal of Applied Physics, Applied Surface Science, Applied Physics Letters, Journal of Materials Research, Journal of Electronic Materials, Journal of Vacuum Science and Technology, Surface Science, Surface Science Letters, Solid State Communications, Solid-State Electronics. Xerox Corporation, Office of Naval Research, Army Research Office, United States - Israel Binational Science Foundation, New York State Science and Technology Foundation, Ohio State University Research Foundation, National Science Foundation, Department of Energy, Air Force Office of Scientific Research, National Aeronautics and Space Administration, Honda of America, General Electric, Office of Homeland Security, Defense Threat Reduction Agency, ITN Energy Systems, National Institute of Biomedical Imaging & Bioengineering. 1 Monograph: L. J. Brillson, The Structure and Properties of Metal-Semiconductor Interfaces (North-Holland, Amsterdam) Surface Science Reports 2 , 123-326 (1982). 2 Textbooks: L.J. Brillson, Surfaces and Interfaces of Electronic Materials (Wiley-VCH,Weinheim, 2010) 570 pages; L.J. Brillson, An Essential Guide to Electronic Material Surfaces and Interfaces (Wiley, Hoboken, 2016) 298 pages. 2 Books Edited: Proceedings of the Topical Conference on Frontiers in Electronic Materials, American Institute of Physics, 1986; Contacts to Semiconductors: Fundamentals and Technology, Noyes Press, 1993. Over 360 Technical Publications on solid-state physics, microelectronics, surface science, and materials science with over 10,000 ISI citations. Brillson h-index = 54 (as of 8/2018).